You’ll Melt More! bring us the latest 360 video with the album track “Hamidashi Paradise”. The playing field looks a bit like an RPG, and there are bad endings and a true ending (if you follow along with the screen’s urgings). Along the way you see a few dance shots, some upclose performances, trippy backgrounds, Street Fighter-style gameplay, and zombie maids. If the promotional video is too nauseating to follow, and hey I wouldn’t blame you, you can always just listen to a great song from the solid latest Yurumerumo! release, “WE ARE A ROCK FESTIVAL”. 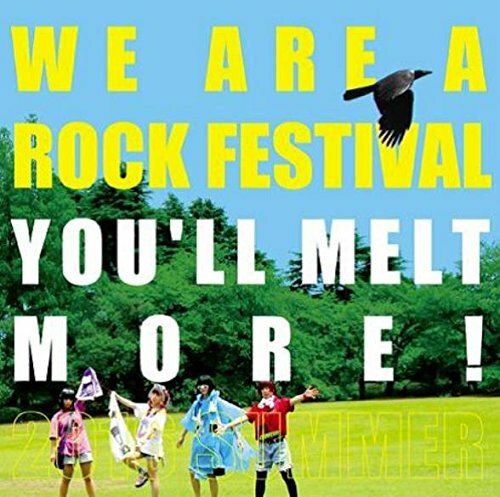 Buy You’ll Melt More’s “WE ARE A ROCK FESTIVAL”!